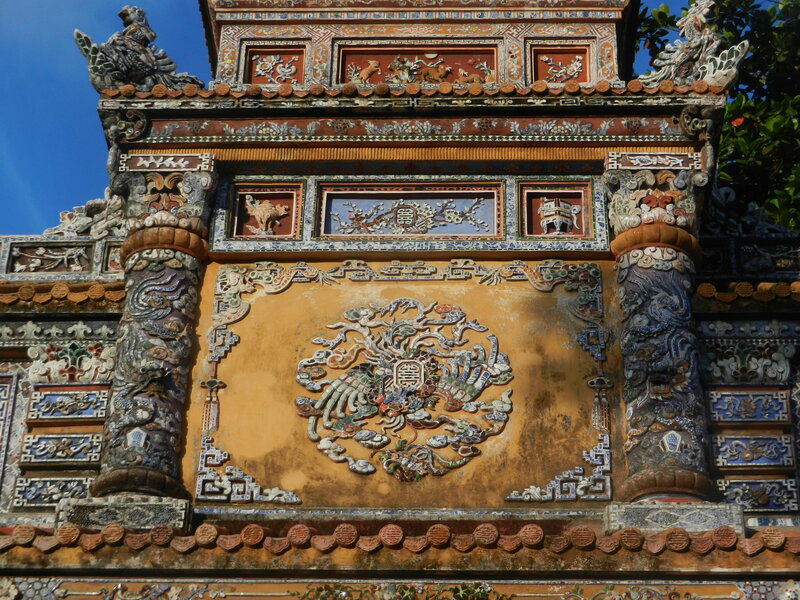 Vietnam brims with blends of cultures and natural landscapes that emerged over more than 2,000 years. Few are well-known. 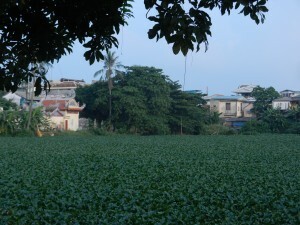 My recent trip to Vietnam was full of discoveries I had never read about. We’ll explore some of its secrets here. 1. Confucian ideas of the central importance of male-dominated traditions in the family and political institutions. 3. 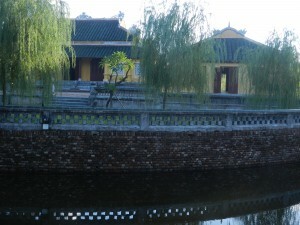 Chinese art forms in architecture, ceramics and painting. 1. Looser political structures, which allowed more independence for women. 3. Exultation in Vietnam’s natural beauty–abundant life forms, majestic mountains, and beautiful rivers and beaches. Since these fusions happened over more than 1,000 years, they were deeply ingrained. So the 2 great dynasties which flourished before Ming China invaded again and ruled briefly in the 15th century, The Ly (1009-1225) and the Tran (1225-1400) continued them. Both mixed Confucianism, Buddhism and local traditions to unify the land. As I rode bikes and walked through towns, I kept finding fusions that I had never heard of. They were spellbinding. 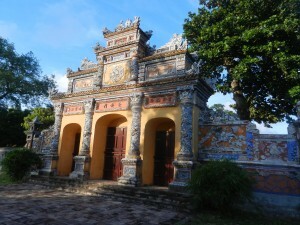 The above 2 photos are of a restored gate in Hue’s 19th century Imperial Palace–the gate of the Truong San Residence. 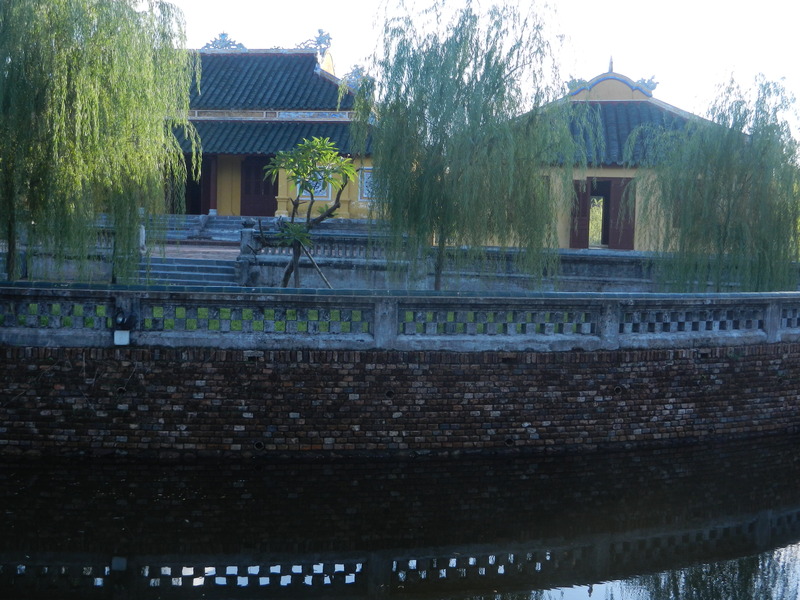 The Nguyen Dynasty built Hue’s Imperial Palace to project a model of Confucian rule. It’s design thus follows Beijing’s Forbidden city, with a rectangular system of courtyards, public halls, an inner court, and walled compounds for temples and private residences. But these hallowed forms blended with the local culture into a Vietnamese outlook. The gate’s basically Chinese in form, but its color scheme is full of tones that are both soft and cheerful. I found the pale yellows and blues easier on the eye than China’s loud reds. The Vietnamese hues blend with the abundant greenery. I saw these combos in dozens of temples, and in homes. These blends take on infinite variations, like Thai forms. But both cultures are very different–it was heavenly to explore them during the same trip. So we’ll enjoy some of these Vietnamese patterns in the next post on Vietnam. A lot of people’s ideas of Vietnam are still focused on the war with America, and on today’s politics. It’s time to explore Vietnam’s infinitely rich heritage.